My boys love books, they take after me in the fact that they are both little book worms. I adore how much they love reading and story time but it does mean our house is overflowing with books. There are two bookcases full of children’s books and an IKEA storage unit is crammed full of the works of the boys favourite authors: Julia Donaldson being Leo’s absolute favourite and Alex has a bit of an obsession with Spot the Dog. With Christmas around the corner, I am bracing myself for piles of new books coming into the house but I am stuck thinking, where the hell are they all going to go?! 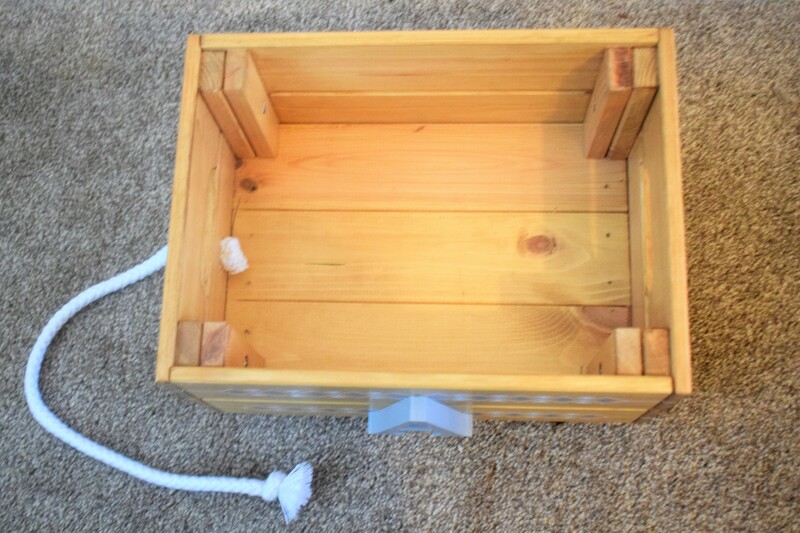 Book storage is something we can never have too much of in this house and I was thrilled when my lovely friend Sarah, blogger at From Day Dot, offered to let me review one of her handmade wooden storage carts. These mini storage carts are perfect for keeping a small pile of books in and are a fun solution to the ‘the bookcase is overflowing!‘ dilemma. 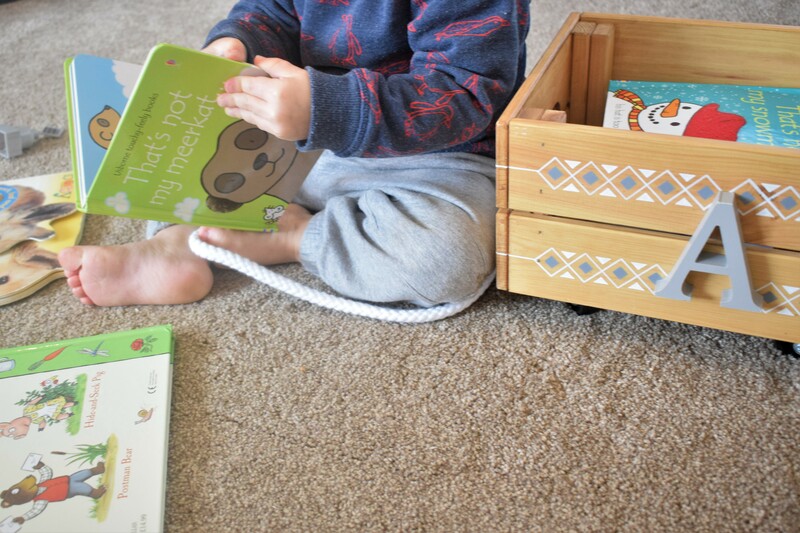 Alex absolutely loves his mini wooden book storage cart. Sarah makes her carts from scratch and designs the patterns and personalises them herself. 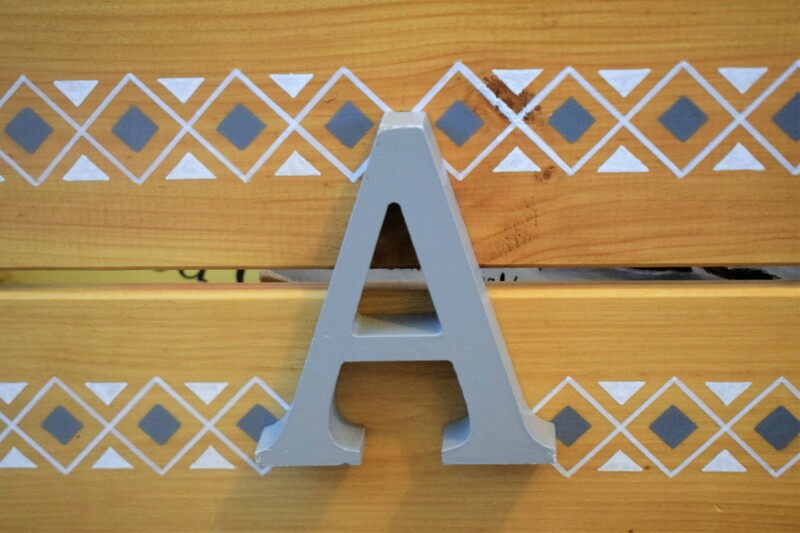 Alex’s cart has a wooden A for Alex and a cute white and grey pattern painted around all four sides. 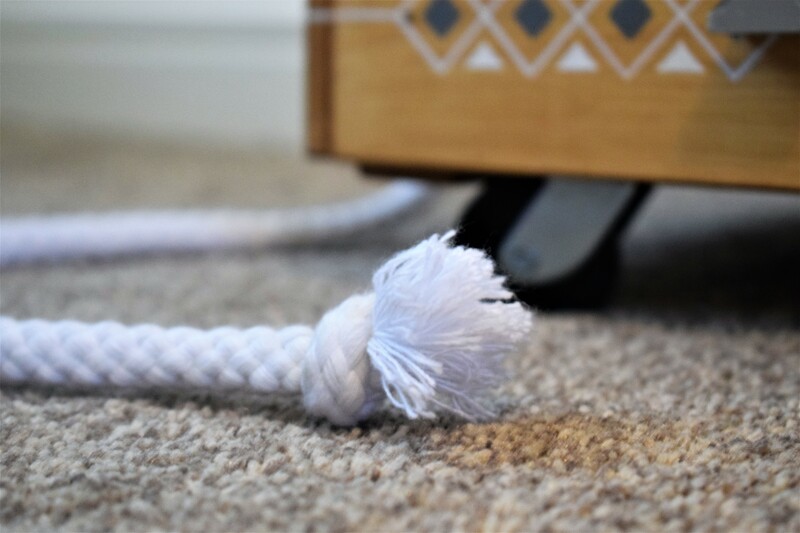 The cart is on wheels and has a strong rope attached so it doubles up as a really fun toy for toddlers too. 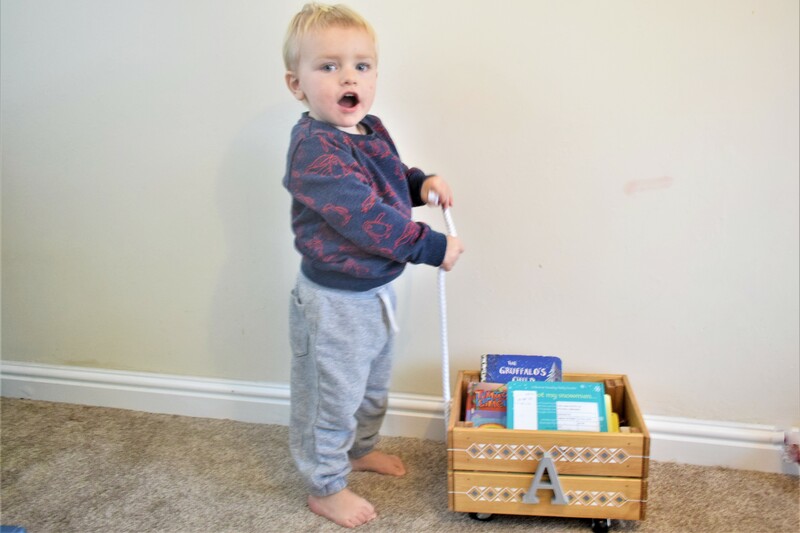 Alex likes putting his toys in his cart as well as books, it’s like his little portable treasure chest and he has lots of fun filling it with all his favourite things. The cart is the perfect size for toddler books like Spot the Dog, Dear Zoo, That’s Not My series and so on. 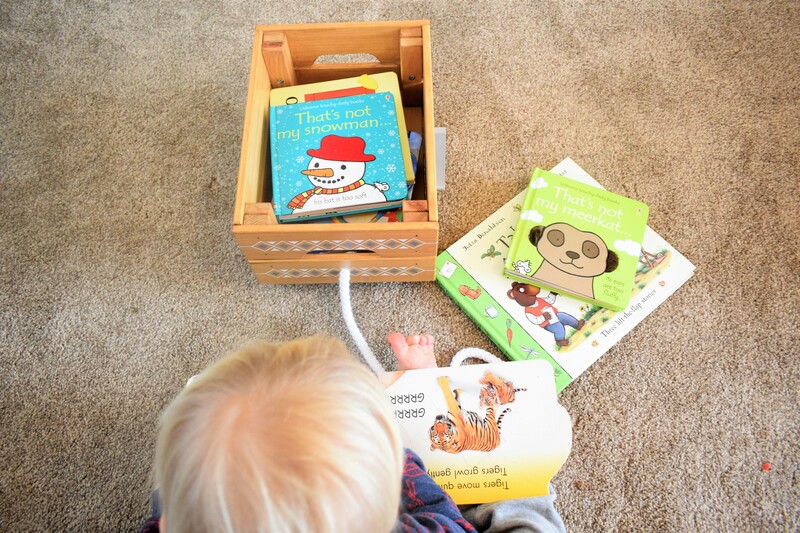 These cardboard style books for younger children and babies fit really well and can rest flat in the cart. The larger size paper books will fit in but they will have to go on their side, the cart isn’t big enough for them to lay flat. You can fit a good few books in the wooden book storage cart though – just to give you some idea of it’s size, Alex can sit in it! If you are conscious of your plastic consumption, this book cart would make a great plastic free Christmas present. I have always preferred wooden toys to plastic, they stand the test of time much better and I think they just look really sweet. 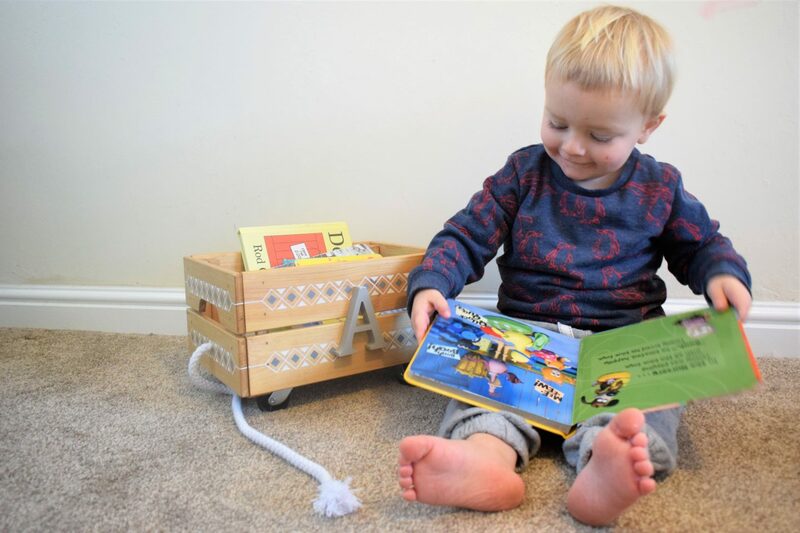 The quality of wooden toys is normally really good and this book cart is so strong and built to cope with boisterous little toddlers! Sarah is a Mum of a toddler too so she knows that as well as looking good and being fun, kids toys need to be well made as kids don’t always understand how to play gently. Alex has whizzed around the house with his book cart full to the brim with toys and books, it’s been bashed accidently into walls and (as I mentioned above) Alex likes to sit in it and it is still in amazing condition. 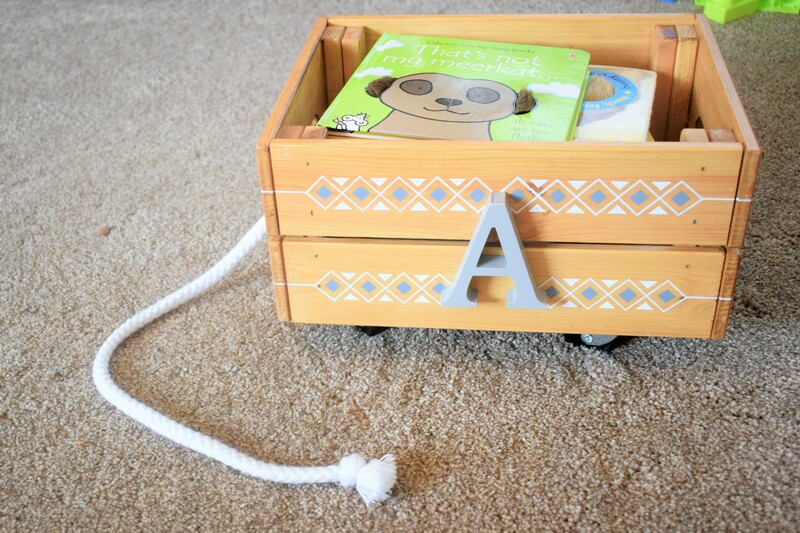 I have a feeling this wooden book cart is going to be around for a very long time. 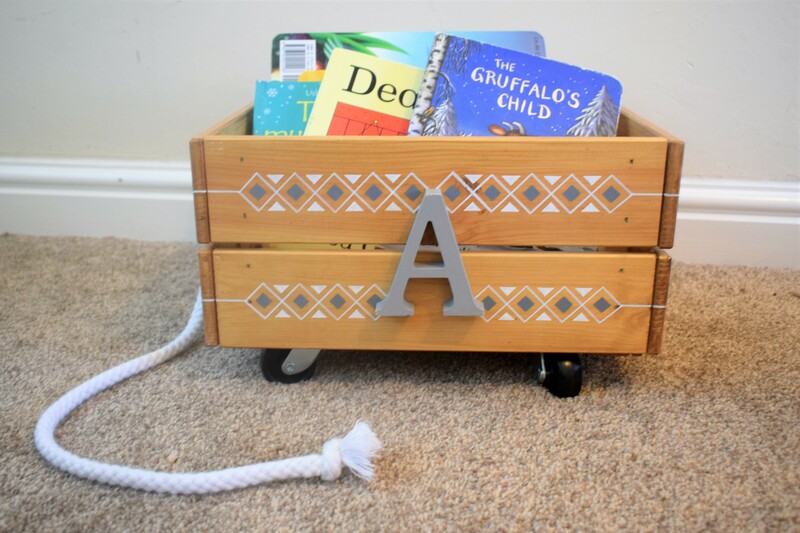 Love the look of this personalised wooden book cart? Sarah is now taking orders for Christmas and has several different patterns you can choose from. 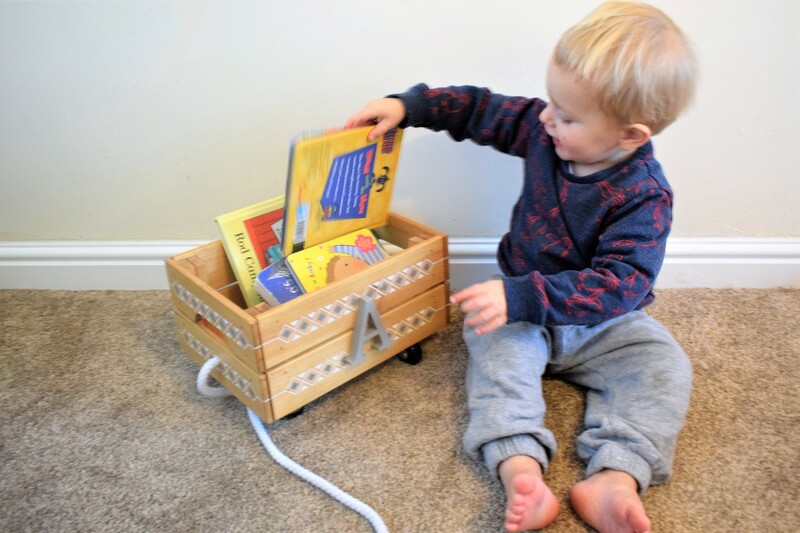 These mini wooden storage carts are £30 and although I received a discount in return for this review, they are definitely worth every penny. 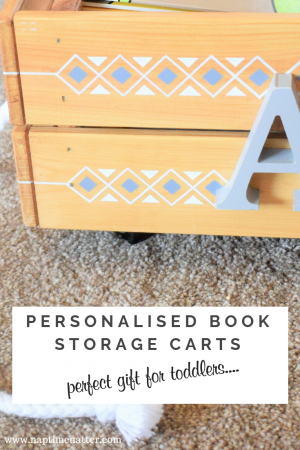 You can contact Sarah via her blog From Day Dot or over on Instagram if you would like to order a book cart for your toddler. Alex is made up with his book cart and I am excited to fill it with lots of new books for him this Christmas. Disclaimer: This post is written in collaboration with From Day Dot. I received a discount on my purchase of the book cart in return for this honest review. All words and opinions are my own. This is so cute. I love that it can be pulled along and I love the little pattern on the side. Such a lovely idea and great for storing those all important favourite books. Oh how adorable. My youngest has a little book box by her bed but this is just too cute. I need one! My newphew is a total bookworm, he takes after his dad and the house is always overflowing this book carnage, this would be a great solution for them. This cart is absolutely adorable. My daughter would love one of these when she gets her own bedroom I think! What a gorgeous wee cart! We have books all over the house, but made a separate little shelf for our current reads. But a cart is even better for moving around.